If you ever had a dog who experienced a seizure, it can always be a scary experience for you as a pet owner. You wonder if what they are going through is painful, will they survive the episode, or are they ever going to be normal again afterward. But the more knowledge you have about seizures, the less the anxiety will be if your dog experiences one. A seizure in simple terms is a disruption or disorganization of brain function. This disruption can cause the signals of the brain to transmit abnormally leading to uncontrolled movements of the body what we refer to as seizures. Different medical conditions that occur outside the brain (extra-cranial) can contribute to seizure activity. Some of these include low blood sugar, low blood calcium, liver abnormalities, or a severe infection. Toxins are also common. Some common toxins include pyrethrins, organophosphates, and mycotoxins. Seizures are more commonly caused by conditions in the brain (intracranial). Some of these conditions include degenerative disease or breakdown of the brain tissue, brain malformations that dogs may be born with, brain tumors, immune-mediated disease which is when the body attack it owns brain cells, and an unknown cause which we refer to as epilepsy. Diagnosing the cause of seizures can sometimes be challenging. The first step in diagnosis is having lab work performed to rule out the medical conditions that occur outside the brain. Further diagnosis requires advanced imaging such as an MRI and CT scan to further analyze the brain or spinal cord for evidence of disease. If these prove inconclusive, then the cause of seizures is determined to be caused by epilepsy. Treatment of seizures depends on the specific cause for the seizures. For medical conditions that occur outside the brain, once the underlying condition is corrected with the appropriate medication, seizure activity should cease. Exceptions, in this case, would be if permanent brain damage is present. Seizures caused by conditions inside the brain are more challenging to treat. Brain tumors often require very risky surgery which does not guarantee a favorable outcome. Brain malformation or immune-mediated diseases often require high doses of steroids which at best can provide relief of the seizures for a temporary period. Epilepsy, however, can be treated effectively in most cases with anti-seizure medications. Treatment does not eliminate seizures but they can be greatly reduced. The most common medications used to treat seizures in these cases include phenobarbital and potassium bromide. Newer medications that once were more common for human use are now becoming more common for dogs. These include drugs such as gabapentin and Keppra. These drugs have less side effects than their more common counterparts. First thing is don’t panic. I know it can be a scary experience but not all seizure activity requires an emergency visit. It depends on the intensity, frequency, and behavior after the seizure activity occurs. Keep your pet away from areas where they could fall down such as stairs, and outside decks. Avoid going near your dog’s mouth as they could inadvertently bite you. Remember they have no control of their muscles during a seizure episode. If you can, see if you can videotape the episode. This can help veterinarians when they are trying to diagnose your dog. 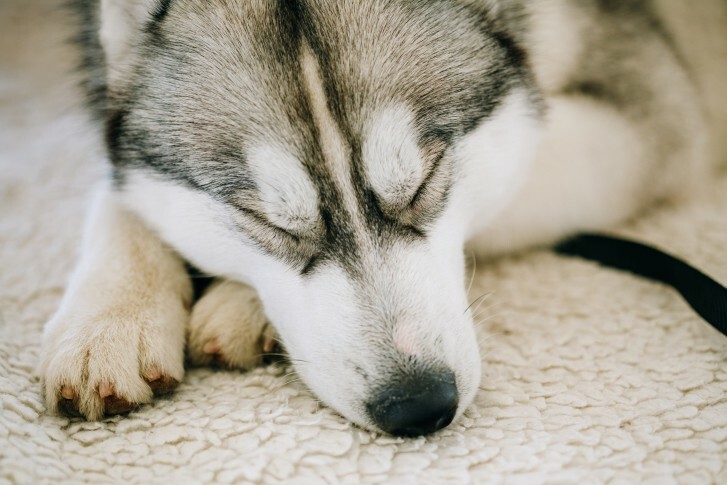 Rush your dog to the emergency veterinarian if the seizures last longer than five minutes, if they have multiple seizures in a short period of time, or remains unresponsive or disorientated for an extended period of time. Seizure activity is always a nerve-wracking experience for the dog owner that is involved. The goal for the most effective treatment is to find out the potential cause behind them. So it is important that if your pet has a seizure they see a veterinarian to be evaluated. 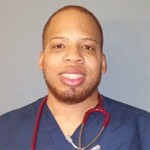 Dwight Alleyne, DVM is the author of the Animal Doctor Blog, a blog that provides veterinary information about cats and dogs through articles and product reviews. He has almost 20 years of animal experience with 10 years as a veterinary technician and more than 9 years as a veterinarian. He currently practices in Georgia at a small animal practice where he provides veterinary services through surgeries and medical consultations. When he is not working, Dr. Alleyne enjoys spending time with his wife, daughter, and 7-year-old cat named Queen.